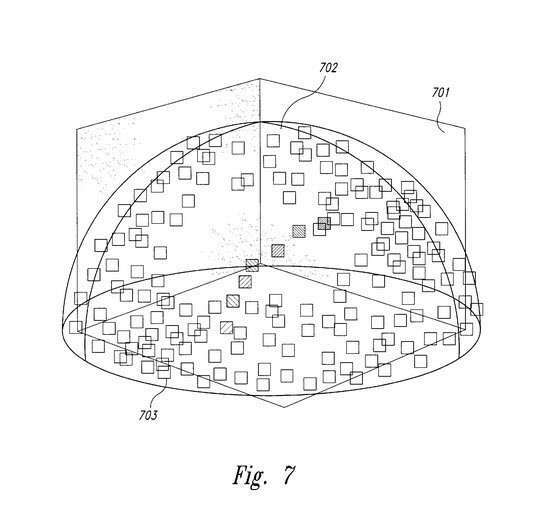 On June 23, 2015 Uber Technologies assigned 9 patents to Microsoft, in a transaction that was recorded at the United States Patent and Trademark Office (USPTO) on August 18, 2015. 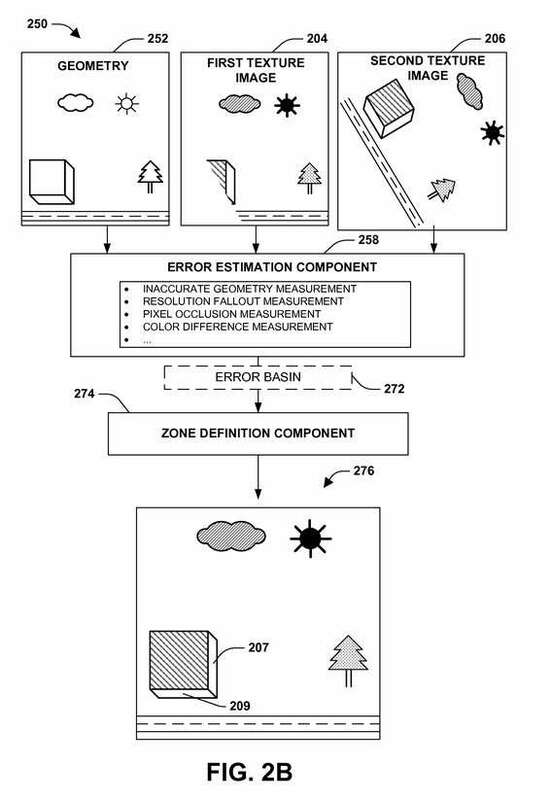 These patents and their abstracts are listed below, and they link to full copies; all of them are related to Mapping, which was an area that Microsoft was supposedly going to be outsourcing to other companies, including Uber. I haven’t seen anything anywhere else that explains this transaction or says anything about the cost behind it. Among other things, one or more techniques and/or systems are provided for defining transition zones for navigating a visualization. The visualization may be constructed from geometry of a scene and one or more texture images depicted the scene from various viewpoints. A transition zone may correspond to portions of the visualization that do not have a one-to-one correspondence with a single texture image, but are generated from textured geometry (e.g., a projection of texture imagery onto the geometry). Because a translated view may have visual error (e.g., a portion of the translated view is not correctly represented by the textured geometry), one or more transition zones, specifying translated view experiences (e.g., unrestricted view navigation, restricted view navigation, etc. ), may be defined. For example, a snapback force may be applied when a current view corresponds to a transition zone having a relatively higher error. Within machine vision, object movement is often estimated by applying image evaluation techniques to visible light images, utilizing techniques such as perspective and parallax. However, the precision of such techniques may be limited due to visual distortions in the images, such as glare and shadows. Instead, lidar data may be available (e.g., for object avoidance in automated navigation), and may serve as a high-precision data source for such determinations. 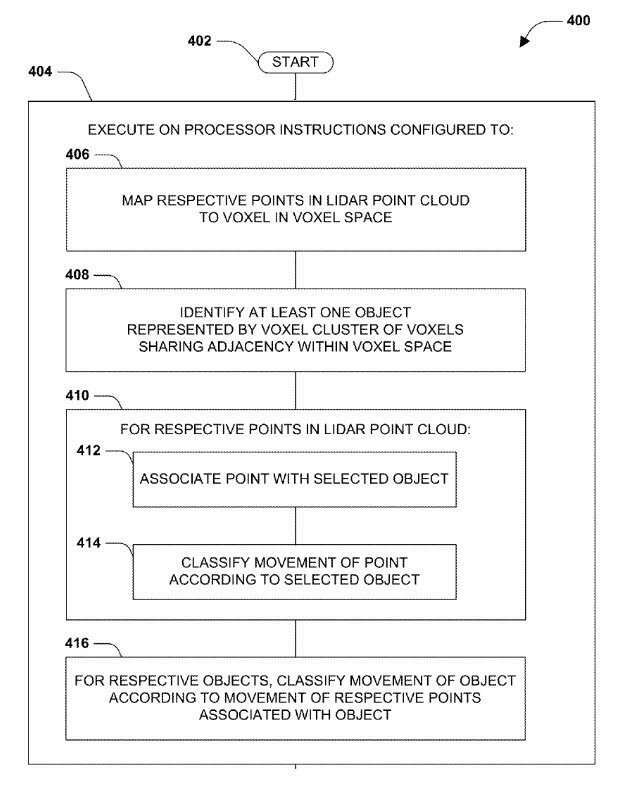 Respective lidar points of a lidar point cloud may be mapped to voxels of a three-dimensional voxel space, and voxel clusters may be identified as objects. The movement of the lidar points may be classified over time, and the respective objects may be classified as moving or stationary based on the classification of the lidar points associated with the object. This classification may yield precise results, because voxels in three-dimensional voxel space present clearly differentiable statuses when evaluated over time. 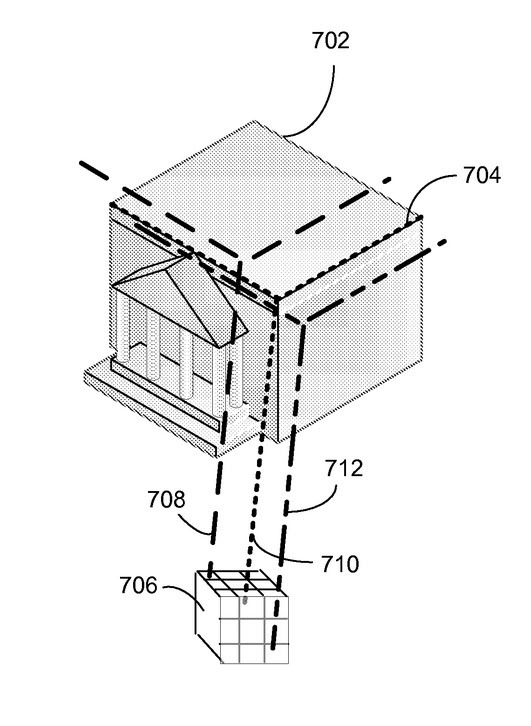 A computer-based method and system for digital 3-dimensional imaging of an object which allows for viewing images of the object from arbitrary vantage points. The system, referred to as the Lumigraph system, collects a complete appearance of either a synthetic or real object (or a scene), stores a representation of the appearance, and uses the representation to render images of the object from any vantage point. The appearance of an object is a collection of light rays that emanate from the object in all directions. The system stores the representation of the appearance as a set of coefficients of a 4-dimensional function, referred to as the Lumigraph function. From the Lumigraph function with these coefficients, the Lumigraph system can generate 2-dimensional images of the object from any vantage point. The Lumigraph system generates an image by evaluating the Lumigraph function to identify the intensity values of light rays that would emanate from the object to form the image. The Lumigraph system then combines these intensity values to form the image. Point of origin information for image data may be inaccurately registered against a geographic location absolute. A process for aligning image and highly accurate model data adjusts a point of origin of the image data by matching elements in the image with corresponding elements of the model. In a street-level image, building skylines can be extracted and corresponding skylines from the building model can be placed over the image-based skyline. By adjusting the point of origin of the image, the respective skylines can be aligned. Building edge and facade depth information can similarly be matched by adjusting the image point of origin of the image. The adjusted point of origin of the image can be used to then automatically place images on the models for a long run of images. Information may be associated with geographic locations, and requests for this information may be used to determine future actions. In one example, a search engine returns results that refer to places having physical geographic locations. If imagery of the geographic locations is available, the imagery may be shown to the person who requests the information. If imagery is not available, this unavailability may be treated as a failure. If a number of failures occurs in a geographic area, then resources (e.g., a car with a camera) may be deployed to collect imagery of that area. In another example, knowledge about a geographic concentration of requests might be used to disambiguate a request relating to a larger area (e.g., requests relating to â€œMinneapolisâ€ might be focused on the area near the I-35 bridge, if data show that many requests in Minneapolis are for the area around that bridge). 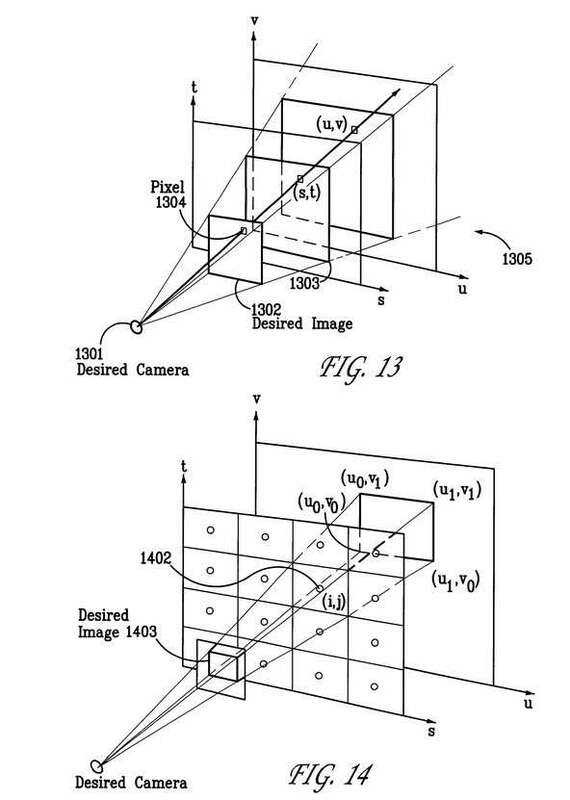 Among other things, one or more techniques and/or systems are disclosed for identifying an area of interest comprising a desired object in imagery (e.g., so an image comprising the desired object may be altered in some manner). A determination can be made as to whether a capture event occurs within a proximity mask, where an object is not likely to be out of range if an image of the object is captured from within the proximity mask. 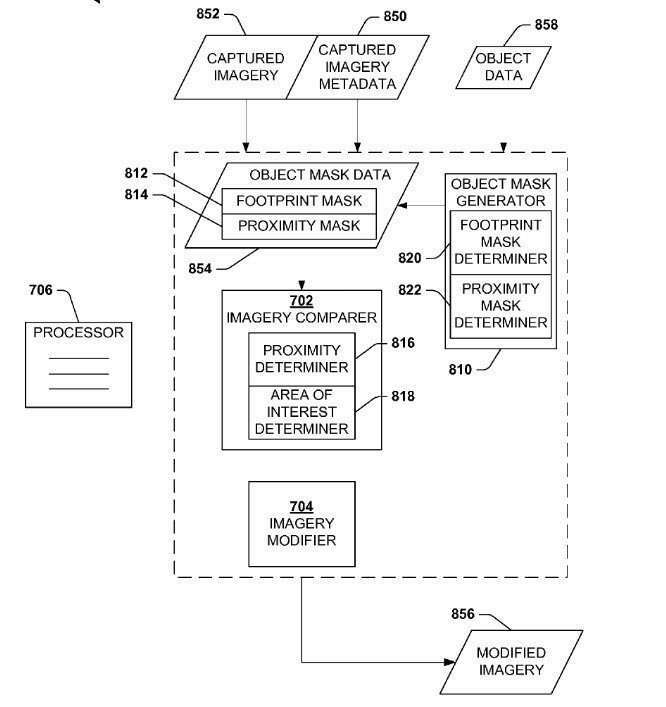 For an image captured within the proximity mask, a determination can be made as to whether capture event imagery metadata for the image overlaps a footprint mask for the desired object. 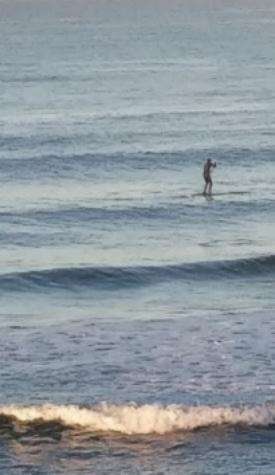 If so, the image may be regarded as comprising a discernible view of at least some of the desired object and is thus identified as an area of interest (e.g., that may be modified to accommodate privacy concerns, for example). Thank you. I’m still trying to understand why this transaction took place. Very good article and great combinations of pictures and description make it easy to understand. 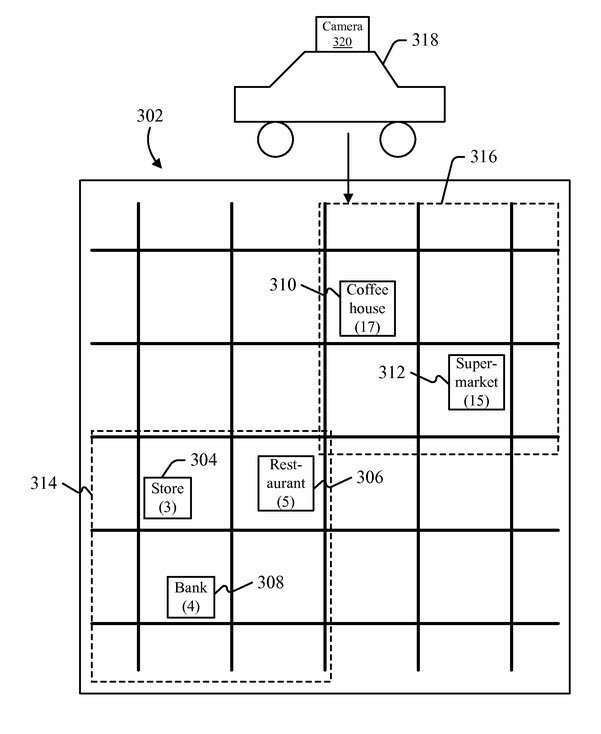 You showed us a very effective presentation on how Uber assigns these nine mapping patents to Microsoft in a way that your readers including me can understand it. At least, we know now how it works. For some, this can be a complicated thing to explore but I guess it’s important to broaden our knowledge and ideas about it.